Originally priced at Rs 3490, the Sound One X60 neckband will be available with a special launch offer Rs 1890 for limited time period. Sound One has launched the X60 Neckband wireless bluetooth earphones with MIC in India. The product is originally priced at Rs 3490, but the device will be available with a special launch offer Rs 1890 for limited time period. The IPX5 Water resistant device is claimed to come with durable material that protects this sports earphone from sweat or drizzle. It is claimed to deliver a battery life of 8-10 hours. 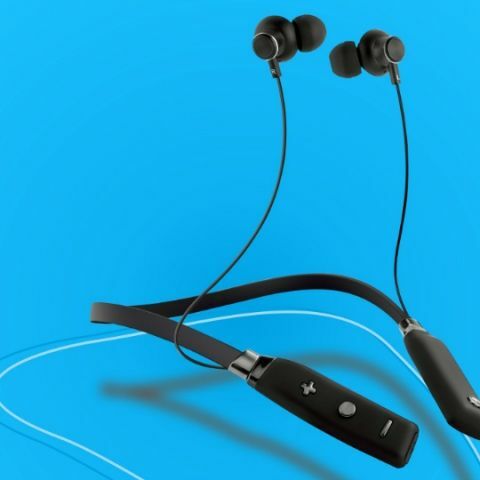 Sound One, a Hong Kong based company has launched its flagship product X60 Neckband Wireless Bluetooth Earphones with MIC specially designed to withstand those rigorous sports training sessions. Sound One X60 comes with Siri and Google Assistant to make it easy for you to enjoy smart life. With the wireless functionality and free access controls, Sound One X60 are surely your companion for your travel and daily needs. The price of the product is Rs 3490, with a special launch offer Rs 1890 for limited time period. The video link of the product is https://www.youtube.com/watch?v=qTraFa7EUKA. The product carries one year warranty and will be available on Amazon.in, Flipkart.com, Paytm.com, Myntra.com,WHSMith, Snapdeal.com, Pai Electronics Ltd, GO-AIR inflight Shopping & other retail outlets.